I’ve got a fun project for you today! This was pretty entertaining for me—experimenting with my Silhouette Alta® to come up with a way to use 3D prints for leather embossing. 1. 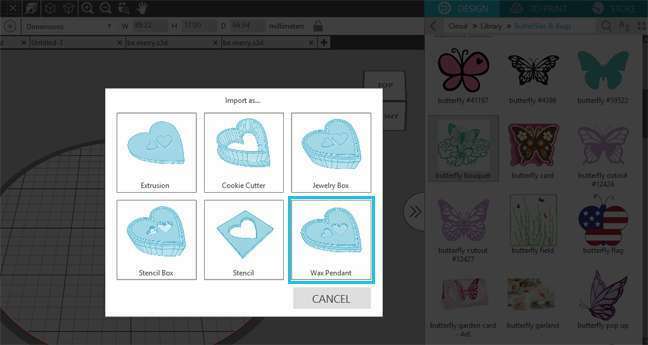 Open the Butterfly Bouquet design (Design ID #76732) in Silhouette 3D™. Use the “Wax Pendant” choice because this designs starts as a 2D design. 2. Select the shape and resize it with a corner handle until it’s 2.0 inches deep. You can see the dimensions change in the Quick-access Toolbar. 3. With the dimensions unlocked, adjust the height to 0.18 inches. This final height will depend on your method of embossing, but I found that between 0.15 and 0.18 inches worked with my pressing system. 4. 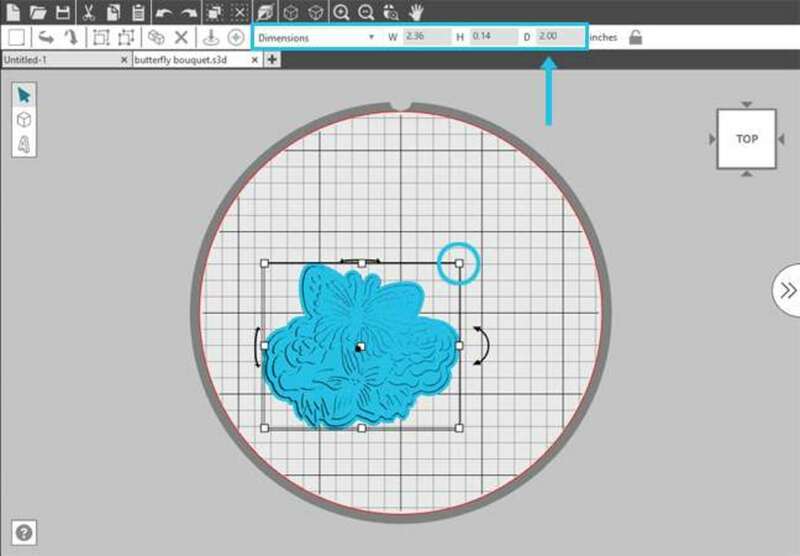 Center the object to the platform using the centering icon located in the Quick-access Toolbar. 1. 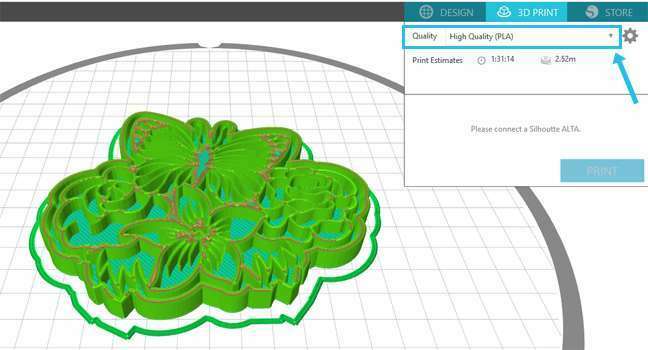 In the 3D Print tab, choose “High Quality” for your print. This gives the most structure and density so that your stamp can withstand more pressing force. 2. Make sure your Alta is connected, calibrated, and loaded with filament (any color). 3. Click “Print” to start the printing process. With this design and these settings, the process will probably take about 90 minutes. 4. Let the object cool completely before removing it once the printing has finished. It’s especially important that your plastic is not warm and soft when it’s time to press it. 5. Clean up any stray or jagged pieces that might show on your print. 1. 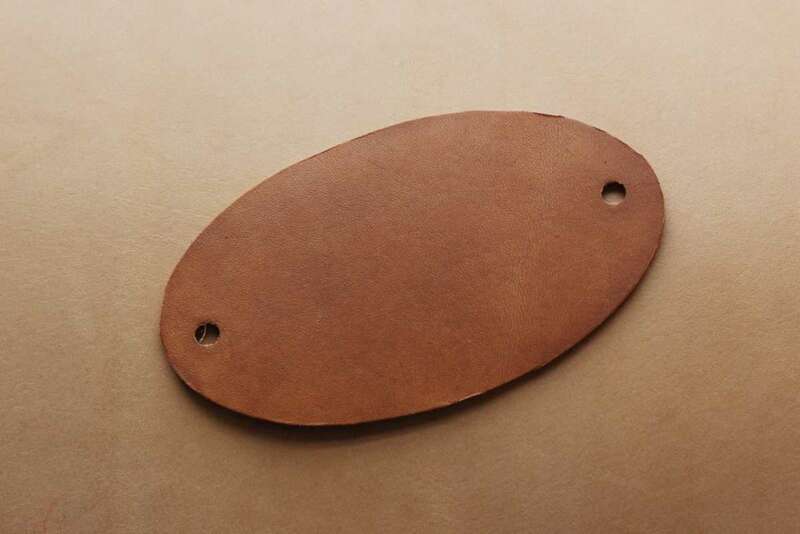 Cut an oval 4 inches wide and 2.25 inches high from a piece of leather. You can use a paper template and draw on the back of the leather with a pen. 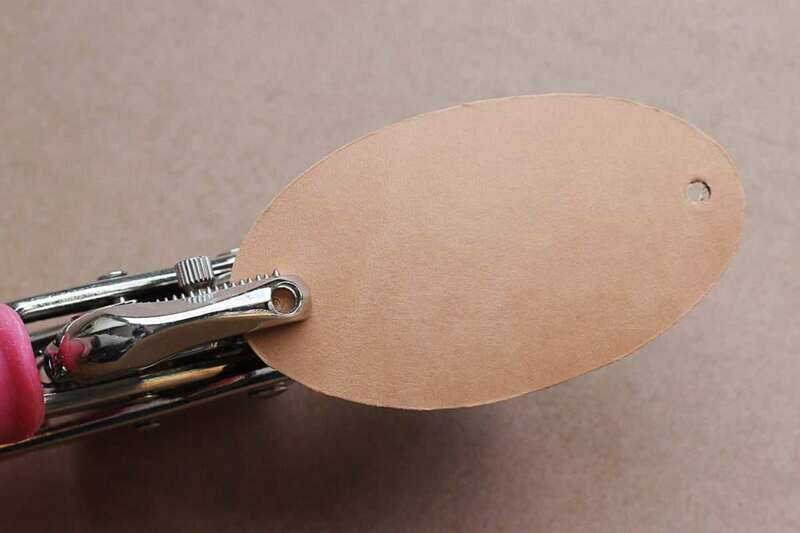 Then cut out the oval with sturdy scissors. That was enough to give me a good start to follow with my scissors. 2. Punch holes near the ends with a leather punch or other sturdy hole punch designed for thick materials. 3. Dampen both sides of the leather with water to soften it. I used a small spray bottle, but you could also use a wet cloth. 1. 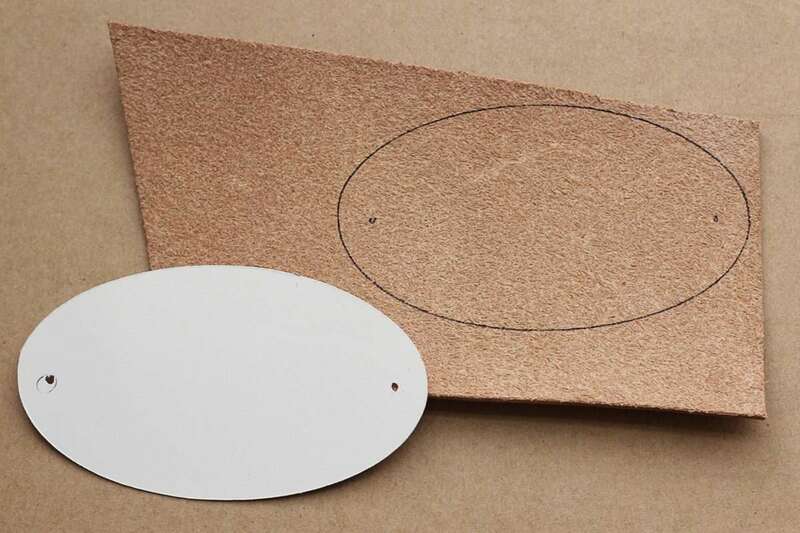 Practice on a scrap piece of leather that’s the same thickness as your oval cutout to determine the right amount of plates, shims, time, and pressure. 2. 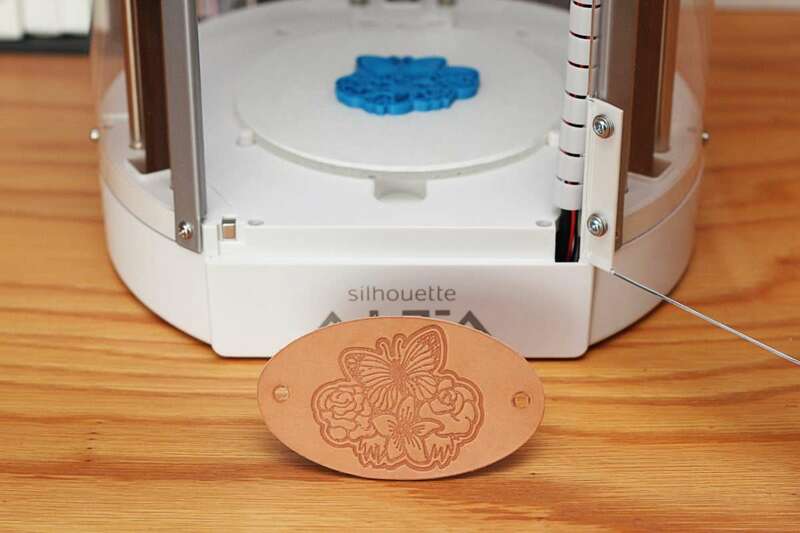 Place the 3D print face-down onto the damp leather. 3. To use woodworking F-clamps for compression, place the leather and the 3D print between two wood blocks. I’ve listed several additional methods for applying pressure below. 4. Use two or more F-clamps to tighten the layers as much as possible. More clamps and even distribution help increase the pressure. The goal is to get as much pressure as possible without crushing the 3D print. Press at least five to ten minutes, and you can go longer when using clamps or a vise. 5. 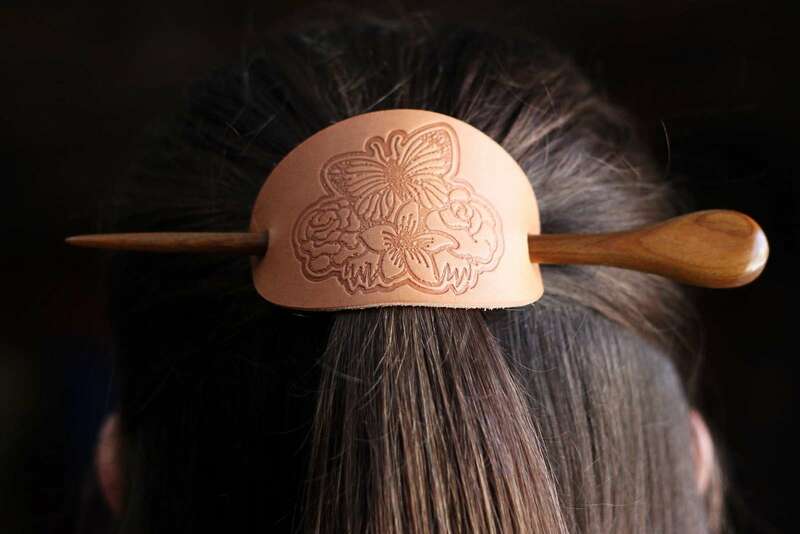 Once you’ve determined through practice how much time is needed, place the butterfly bouquet face-down onto your damp leather oval and clamp it for the final impression. 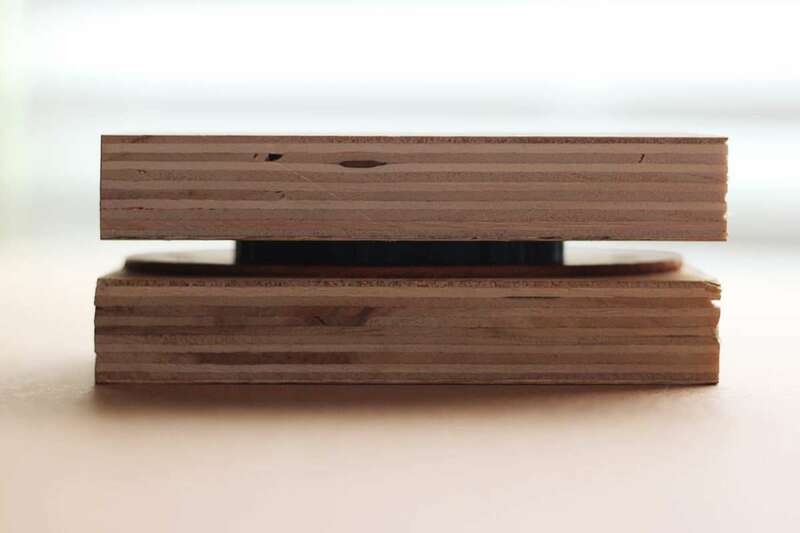 Sandwich the damp leather and 3D print between smooth blocks of wood and clamp in a vise for 5–10 minutes. 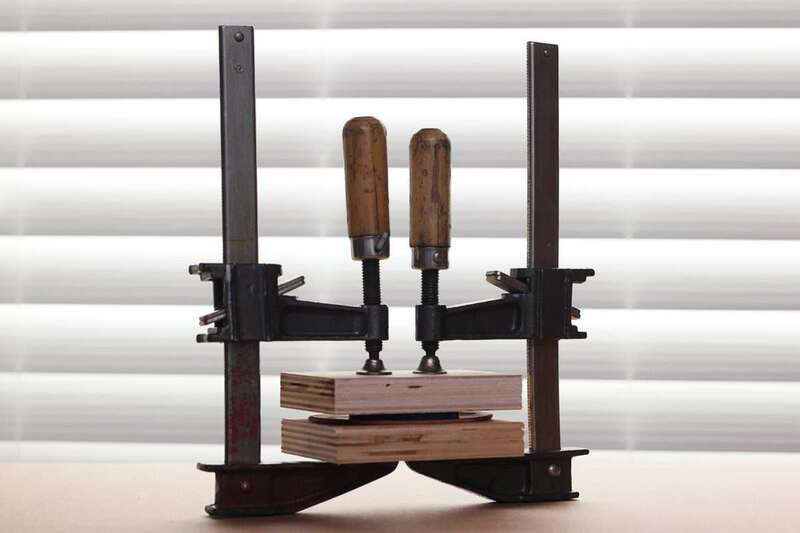 Sandwich the damp leather and 3D print between smooth blocks of steel and press with an arbor press. 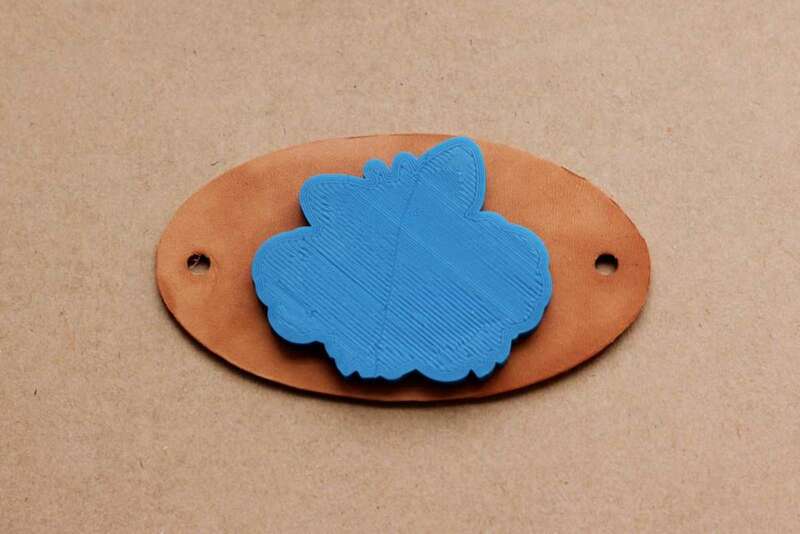 Sandwich the damp leather and 3D print between platforms of an embossing machine. Use additional shims, if necessary, so the pressure is firm but does not crush the 3D print. Use even pressure between flat blocks or platforms. You get the idea. 1. 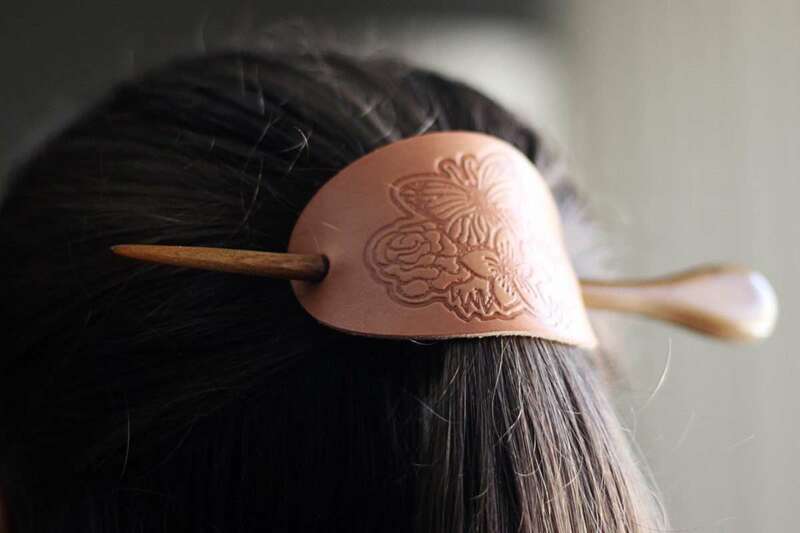 Use a hair stick or any other kind of smooth wooden dowel or chopstick to finish off the leather hair clip. I did not dye mine, but you can add leather dye if you want. 2. You can use this same method to create keychains, leather patches, luggage tags, leather cuffs, etc. I had a lot of fun experimenting! 1. If you use an arbor press or clamps, it’s important to choose designs that have very narrow lines and are not very large in size overall. This maximizes PSI (pounds per square inch). Thick lines, large solid areas, and large designs distribute the pressure across a wider surface, resulting in shallower images. 2. 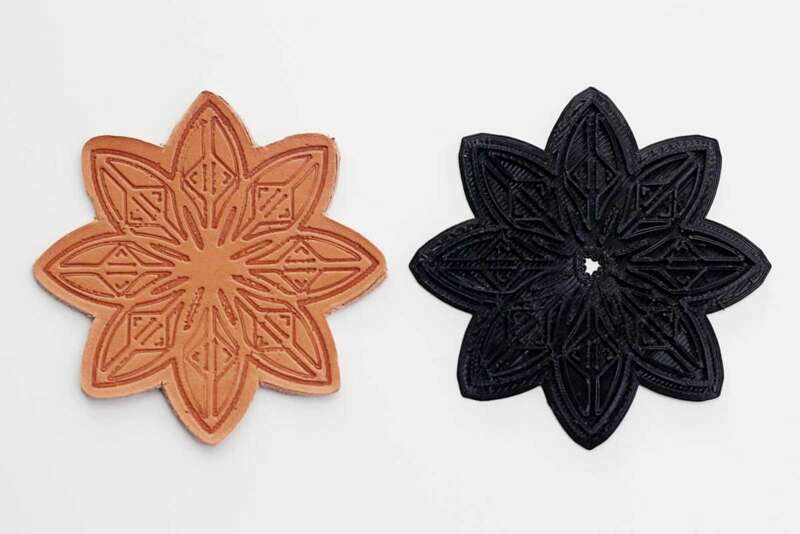 I found a crank-through embossing machine gave plenty of even pressure for deep and consistent results every time, once I had dialed in the platforms and 3D-print thickness for my leather. 3. The “Wax Pendant” choice automatically provides a solid base for the design to sit on, which I found was generally better than a design made of only lines and no backing. 4. I also used the “Cookie Cutter” choice for this kaleidoscope design (Design ID #16933) and resized it smaller so the lines were even thinner (and reset the height to 0.18 inches). If you’re using text, this option mirrors your design for you. 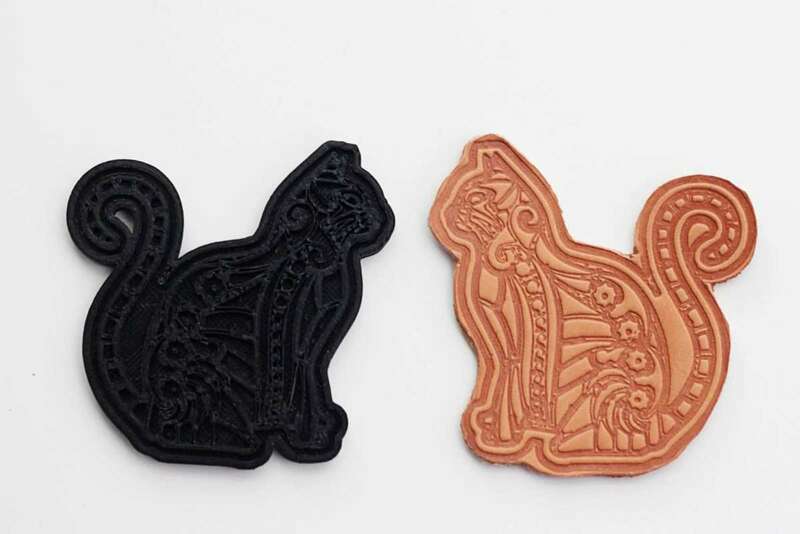 Skinny and detailed 2D designs may not work well if you’re going to cut cookie dough, but they are great for leather embossing designs! 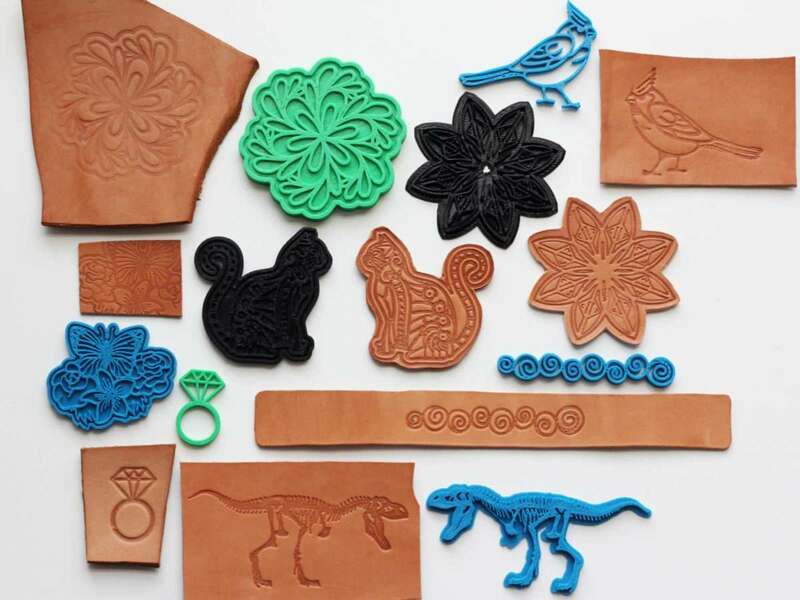 I hope I’ve got you thinking of fun ways to emboss leather with your Alta 3D printer! BRILLIANT!!!! I never though of using the Wax Pendant option. I wasn’t having luck doing what I wanted with the Cookie Cutter or Extrusion methods. Maybe this will work. Thanks so much for sharing this project. I’ve got all kinds of ideas now!. How do yo get the impression to be a different color than the rest of the leather? I always end up with the design “not showing”– it’s there, it has texture, but it’s the same light tan as the leather. Same thing using metal leather stamps/mallet– I get a good impression, but no color change, unless I paint it with dye in the impression (only able to do that neatly with large areas). I didn’t do anything special to it; the dark area shows up with the pressure and remains. Are you wetting the leather, and are you using vegetable-tanned leather? 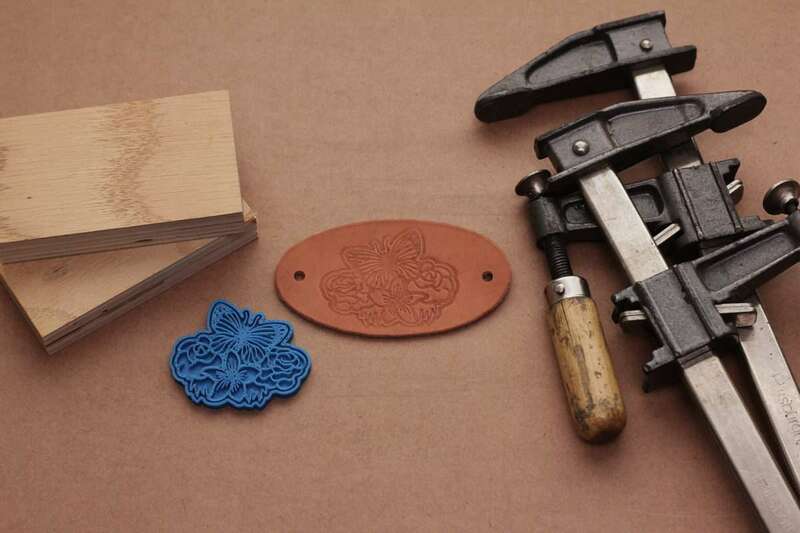 Everything I read said to use vegetable-tanned leather, which is the only type appropriate for stamping. Beyond that, I suggest reaching out to your leather retailer to see what they suggest.